Though streamlining your makeup kit is always a good idea, there are ways to work around a small space — you just have to get a bit creative. One easy solution? Smart makeup storage. One of the biggest downsides of student living has to be how small dorm rooms typically are, leaving you with not much space for your possessions. This gets particularly tricky when you don't have a dedicated section to store your (somewhat massive) makeup collection. Though streamlining your makeup kit is always a good idea, there are ways to work around a small space — you just have to get a bit creative. One easy solution? Makeup storage. 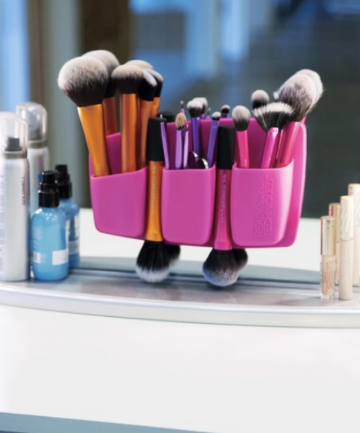 Here are eight affordable makeup storage ideas for small spaces that will keep your products organized and at hand.